Think affordable, waterfront-living in Metro Vancouver is a fantasy? It’s not. Behold, RiverSky by Bosa Properities. 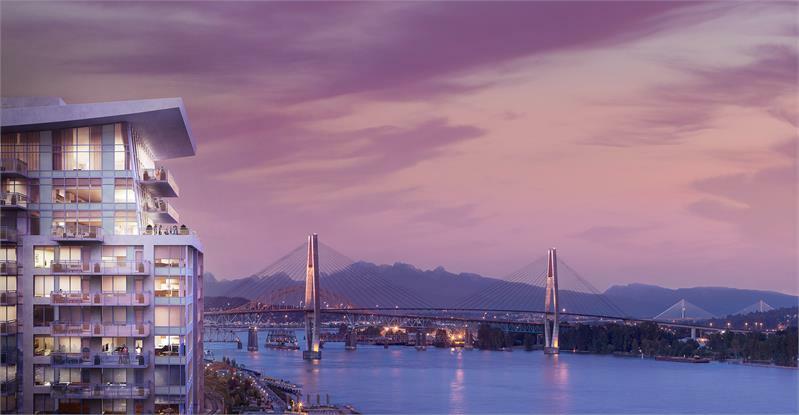 Situated at 1000 Quayside Drive in New Westminster, RiverSky is a two-tower condo development along the Esplanade boardwalk boasting endless views of the region’s skyline and mighty Fraser River. Of course this area offers more than just picturesque surroundings — we’re talking convenient living where everything you need is right outside your door. RiverSky residents will be set above street-level retail and steps away from all the shops and restaurants of River Market as well as the New Westminster SkyTrain station, which means Vancouver is just 15 minutes away. The light-filled residences of RiverSky will include the popular BosaSPACE design, transformable home features that allow residents to live bigger and liver better. And the best part is they will be affordably priced from only $229,900. Want to learn more? Watch the project intro video. Okay, so how can you get in on RiverSky? That sales program will be launching soon, in the meantime you can register for the project here to stay up to date with all the latest news and offerings. For more information call 604 522 2583, email riversky@bosaproperties.com or visit the website here.